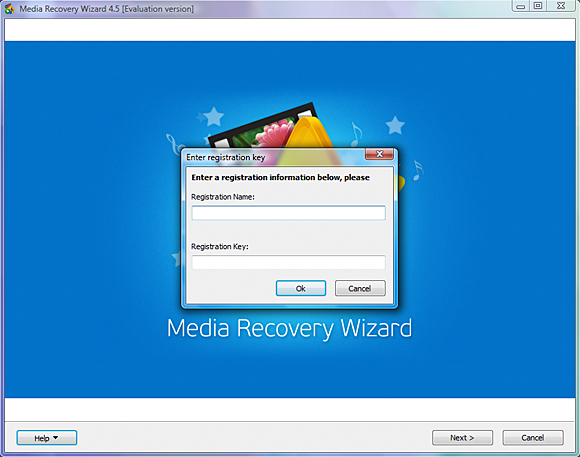 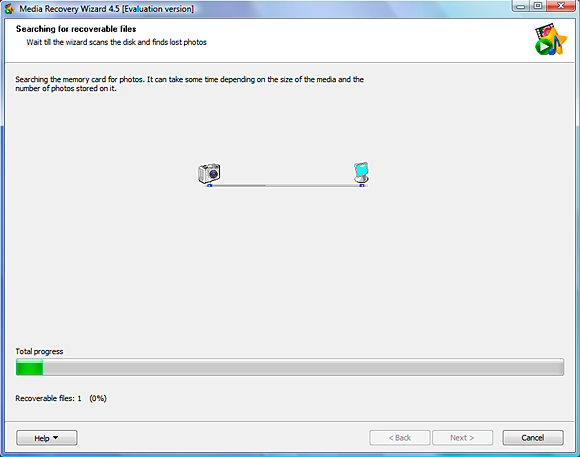 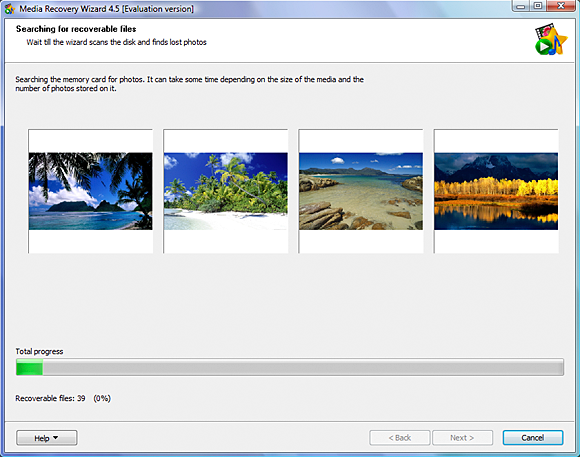 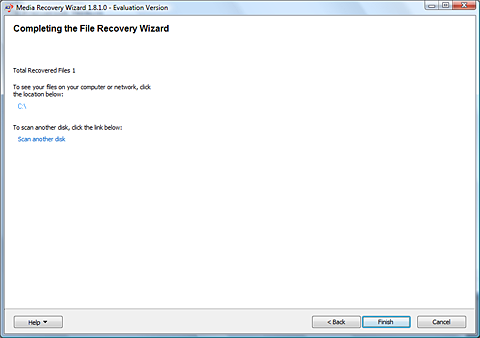 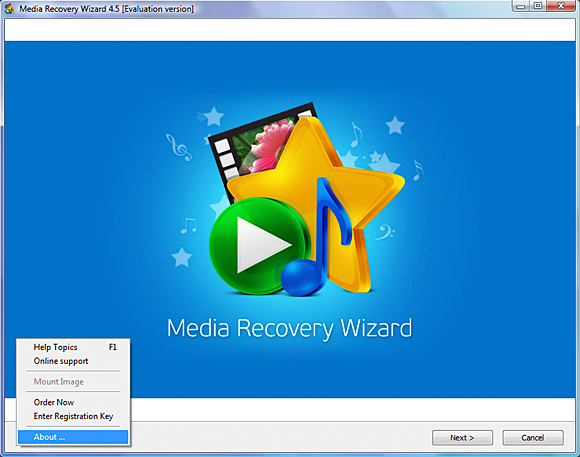 "Download NOW" Media Recovery Wizard, saving it anywhere but the disk being recovered. 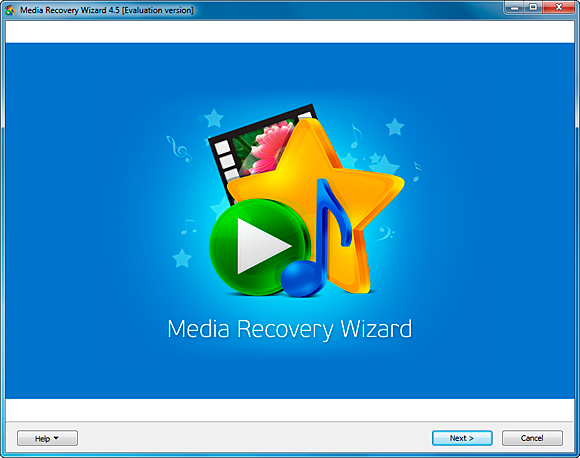 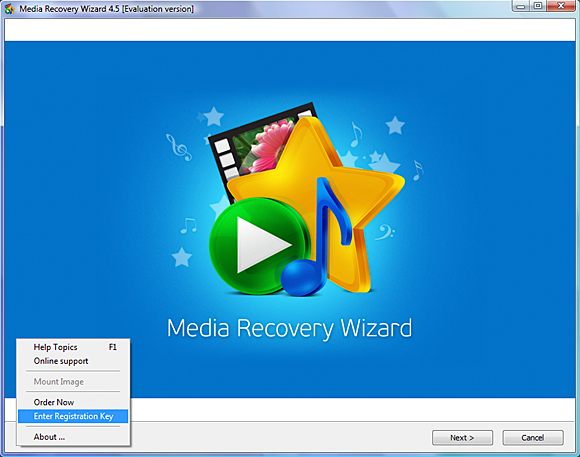 Run media_recovery_wizard_setup.exe to install Media Recovery Wizard to your PC. 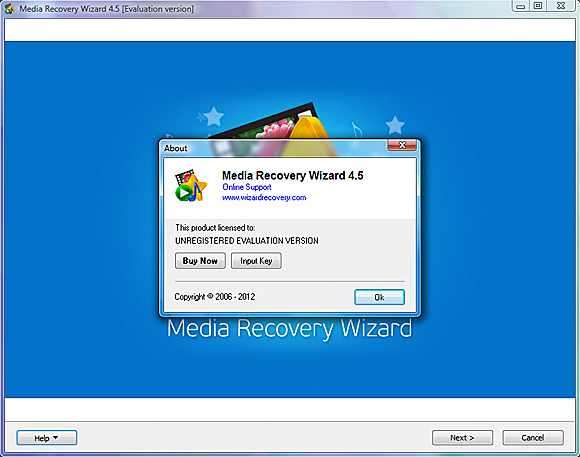 WARNING: Never save or install Media Recovery Wizard onto the disk that contains data being recovered to avoid permanent data corruption. 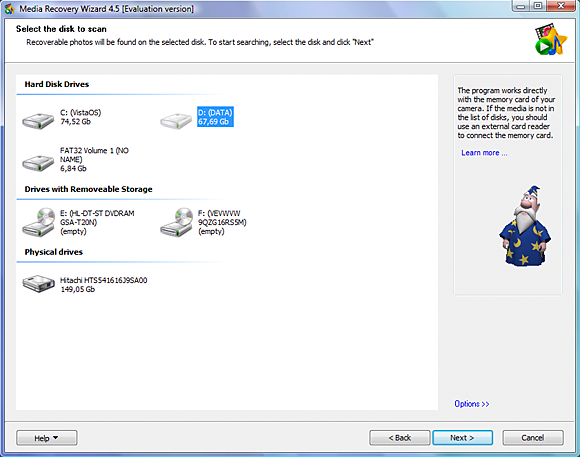 Instead, use a separate hard drive or an external memory device such as a floppy disk, USB flash memory drive or flash memory card, network drive, CD or DVD. 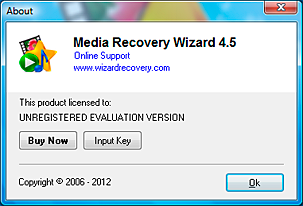 To license your copy of Media Recovery Wizard.exe, click "Help" – "Order Now" in the bottom left corner of the application window. 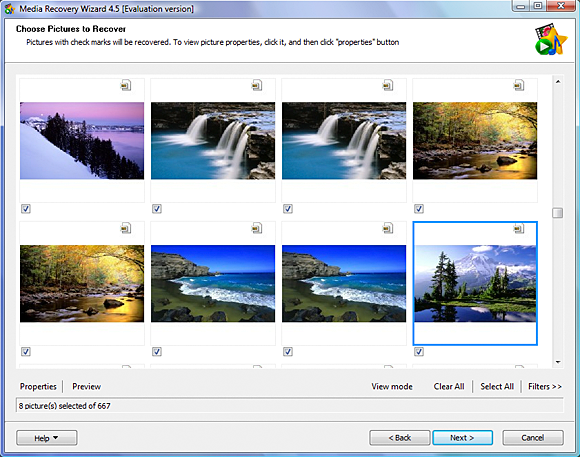 Alternatively, use "Help" – "About", and click "Buy Now". 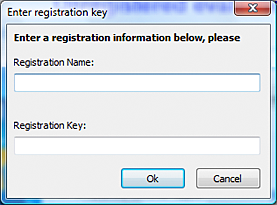 As soon as you receive your license key, enter it by using the "Input Key" button. 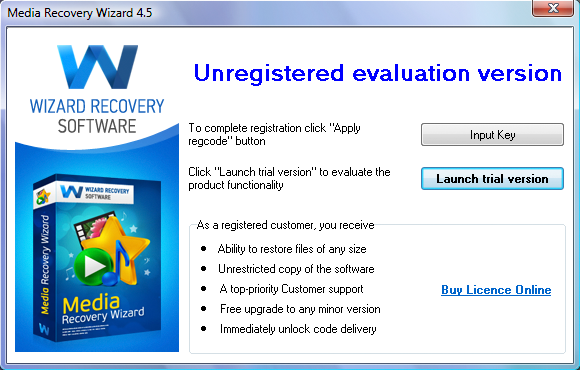 Click "OK" to apply. 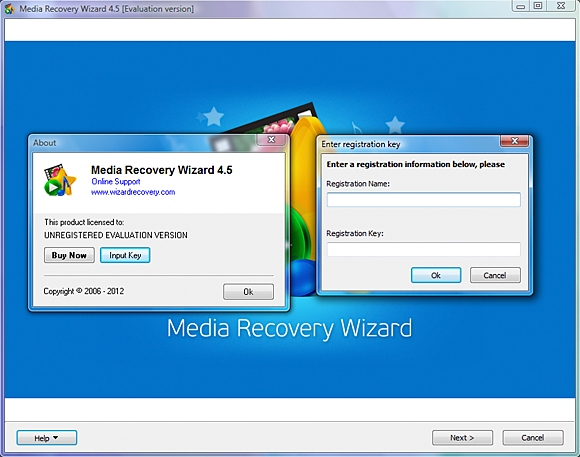 Note that you can always license your copy at any time just before the recovery commences. 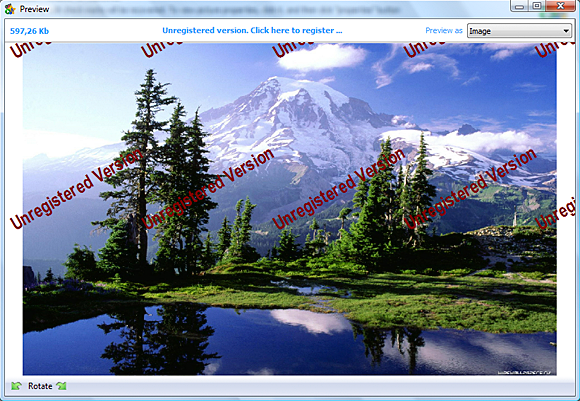 After the initial disk scan is finished, a windows prompting for licensing information will appear. 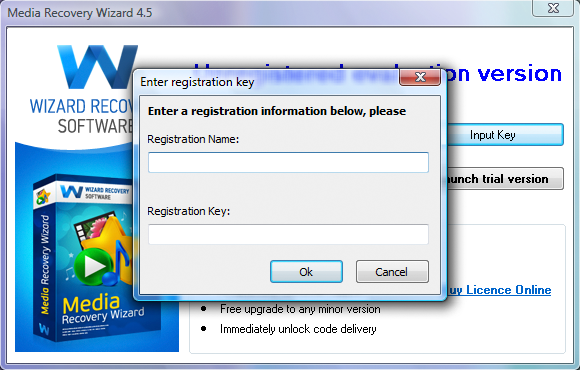 Enter your license key in that window, or follow the instructions shown in it to purchase your license key.